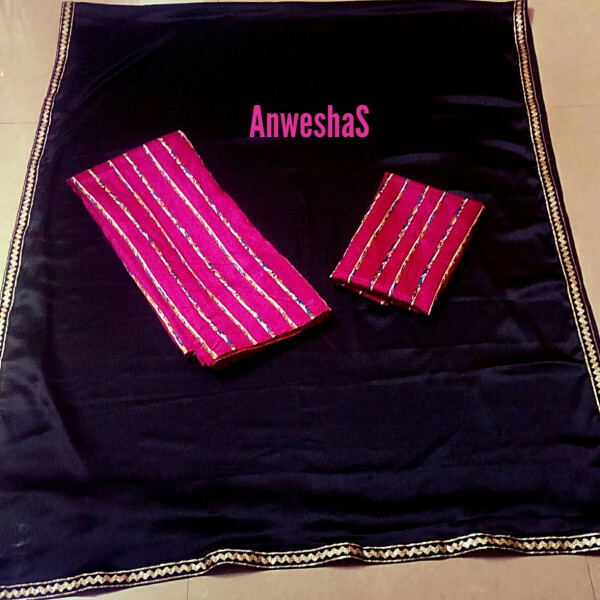 View cart “Black and Pink Stripe design Mekhela Sador Silver Border” has been added to your cart. 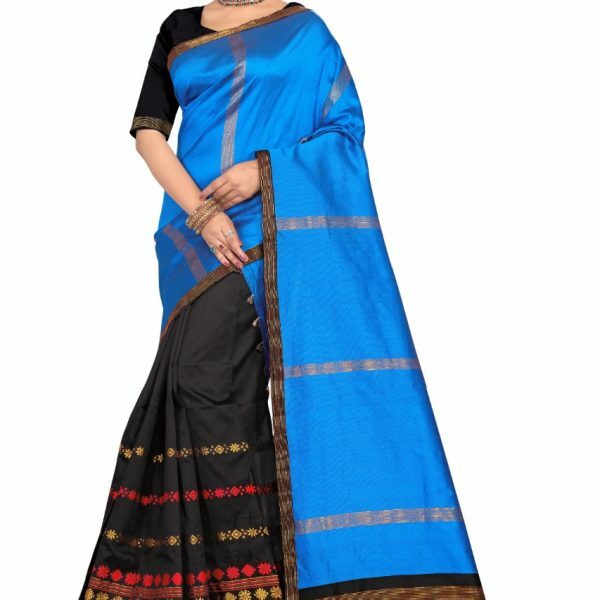 Sador in Cotton and Mekhela and Blouse in Khadi Silk Material. 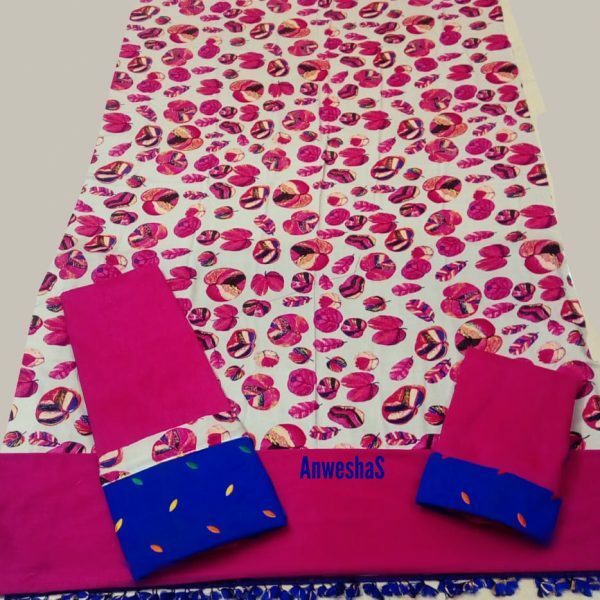 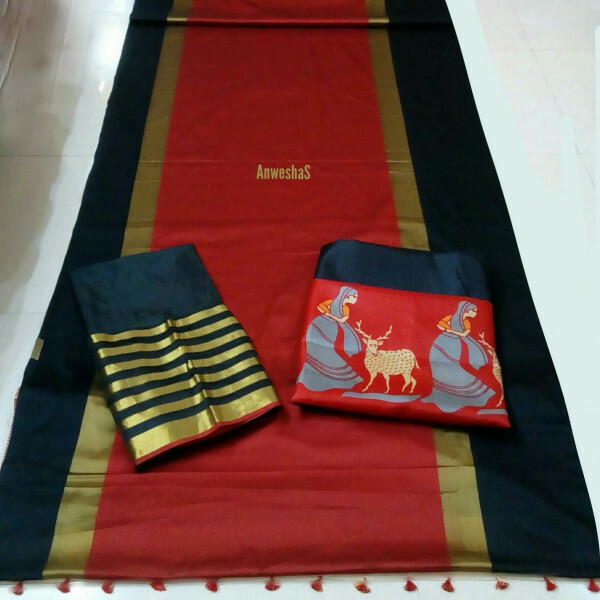 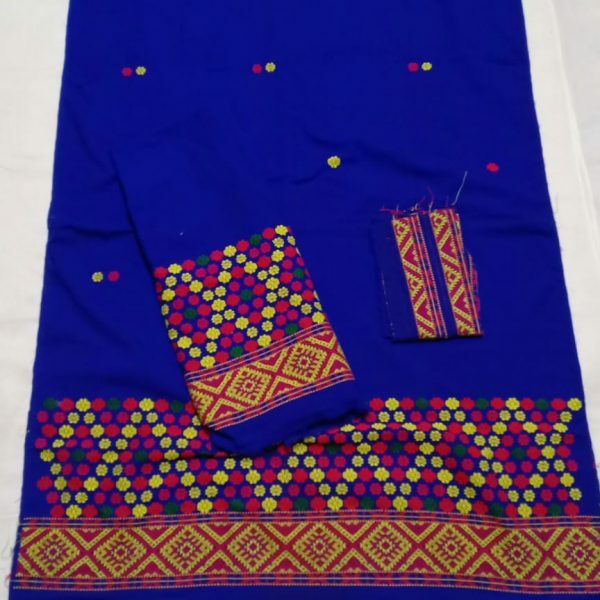 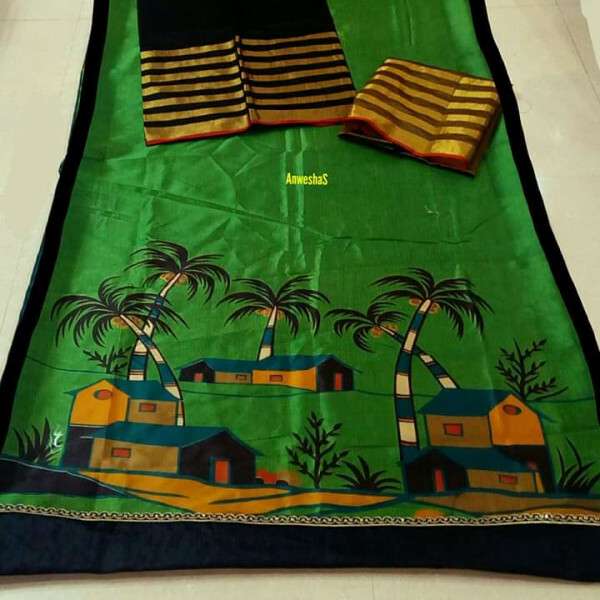 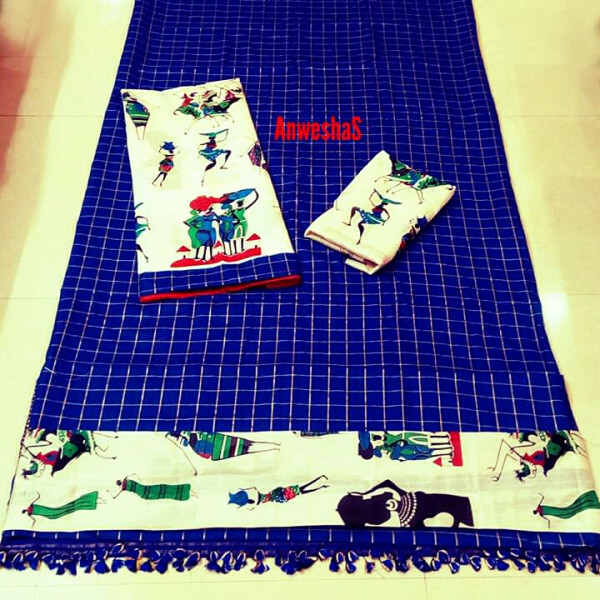 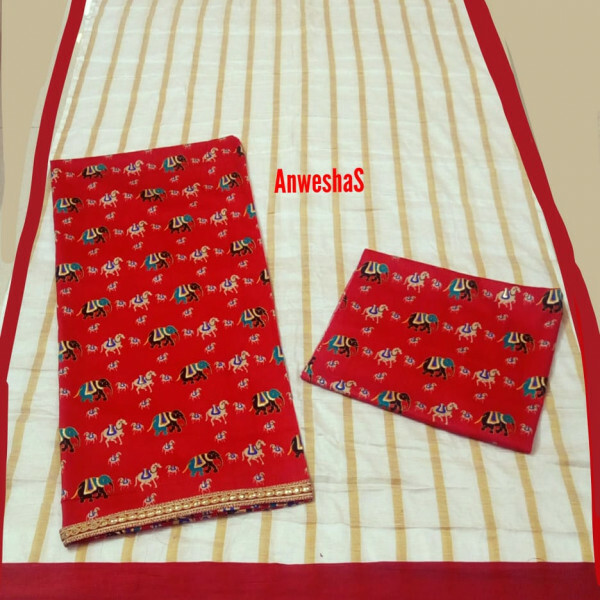 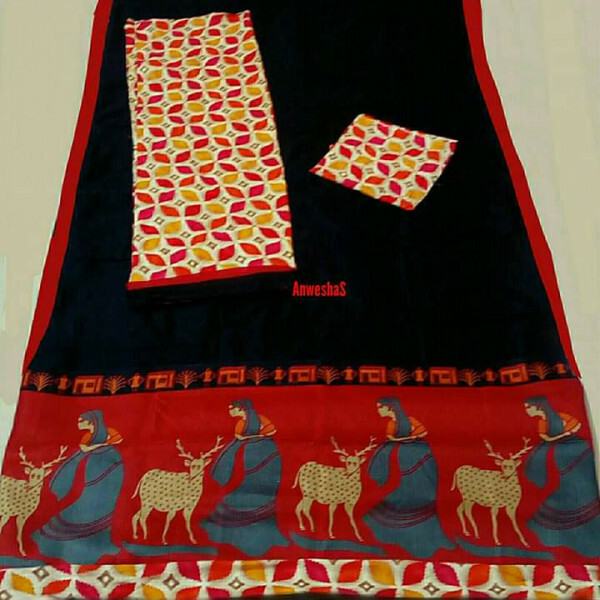 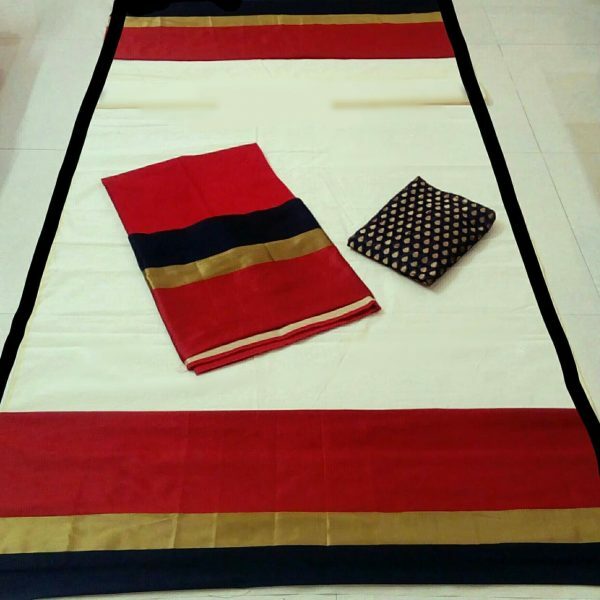 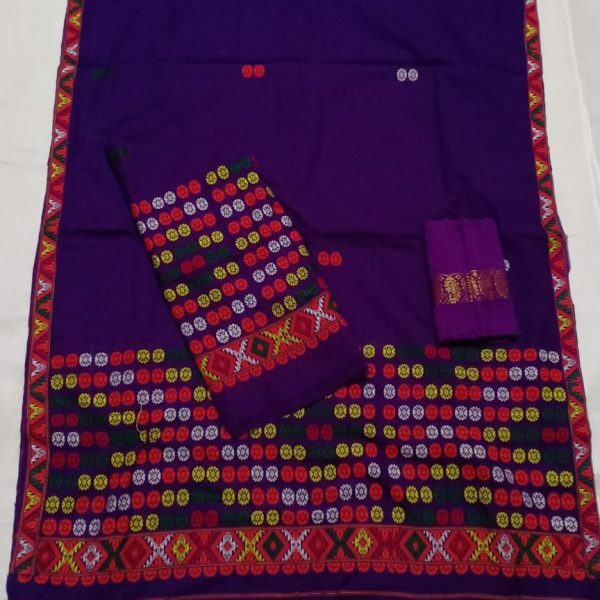 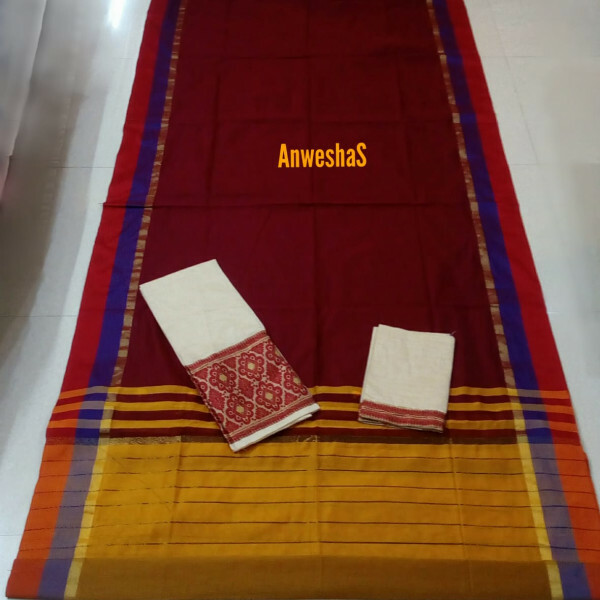 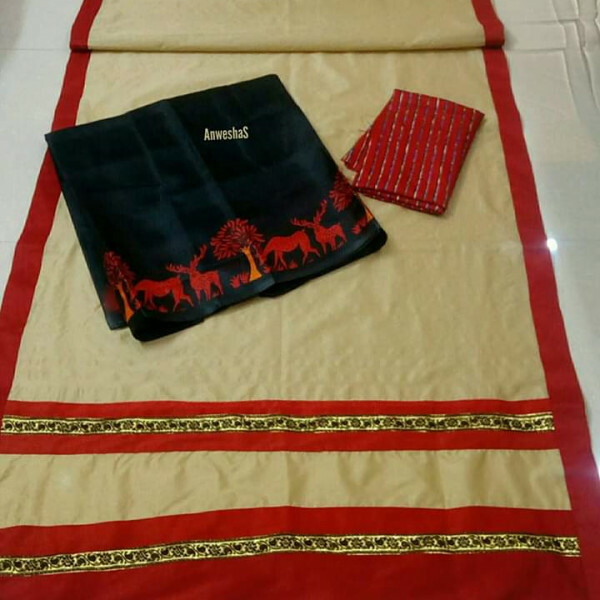 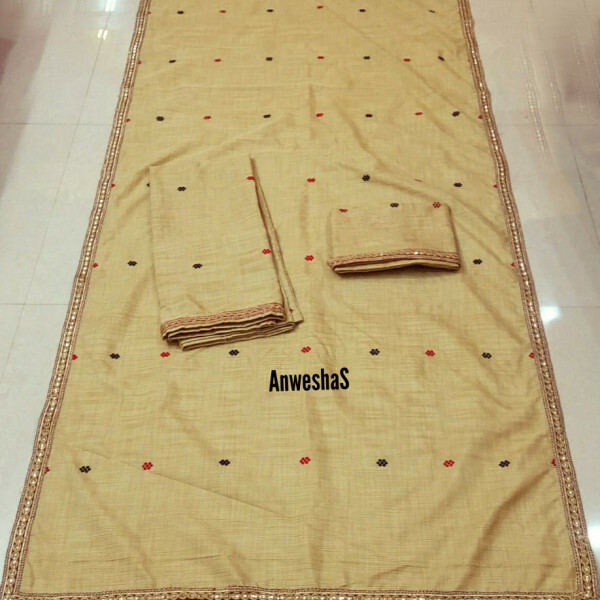 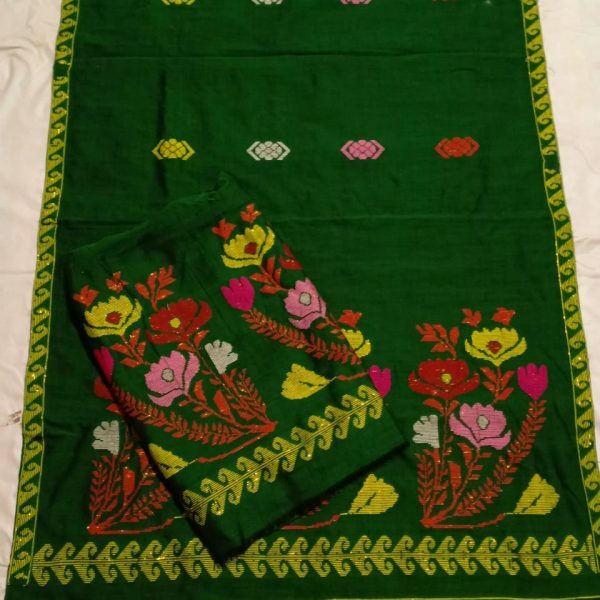 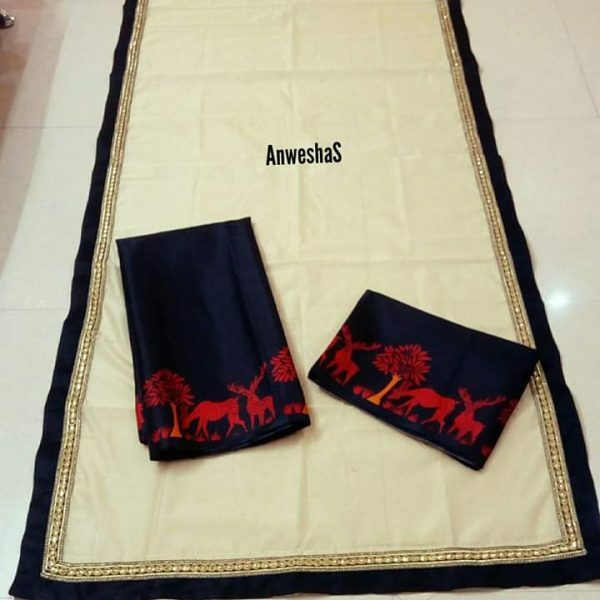 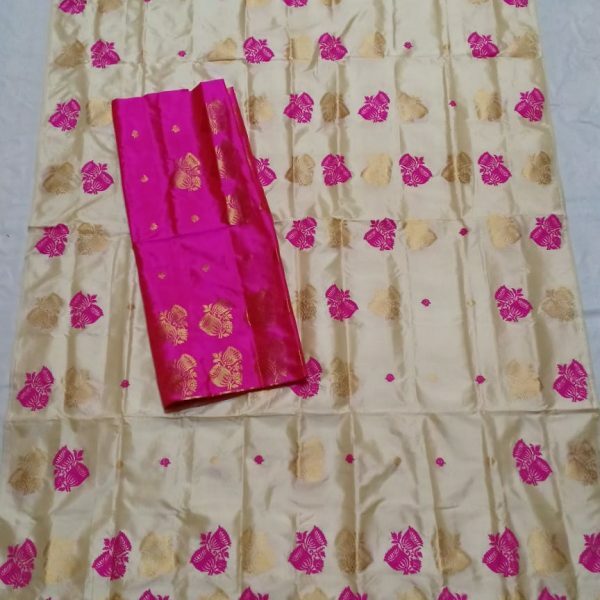 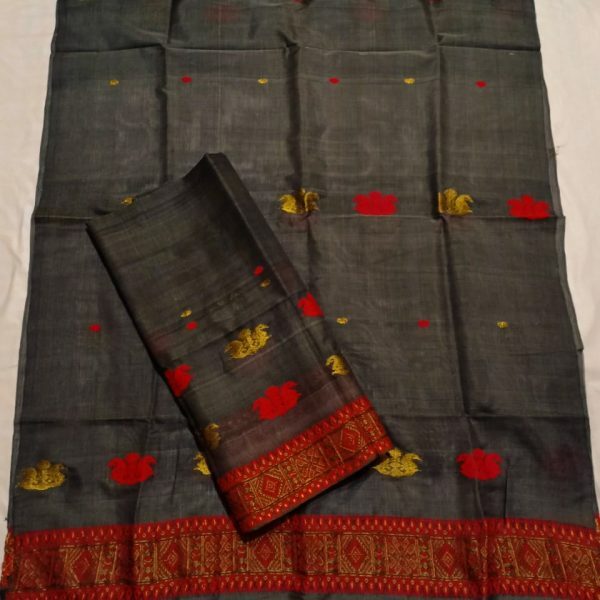 Cotton Silk Sador and Raw Silk Mekhela.